Beth Skwarecki (in her own words): I’m the health editor at Lifehacker, where I write about fitness and health from a practical, science-based point of view. My background is in biology but I’ve been a writer for 10 years now. I’ve tried almost every fitness related hobby but right now I mostly run and lift. 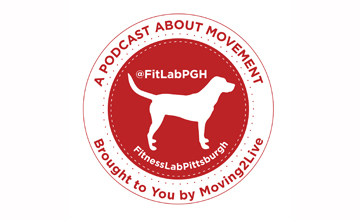 Check out the FitLabPGH Podcast episode featuring Kace O DaMondaze and Riley Rinkrash from the Steel City Roller Derby, released 7/30/17. 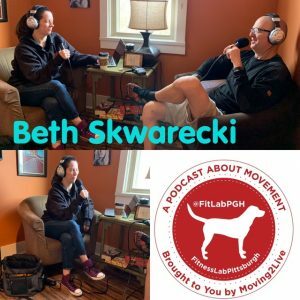 Check out the FitLabPGH Podcast episode featuring Chrissy Ludwikowski of GoApe Pittsburgh, released 5/13/18. Check out the episodes of our sister podcast Moving2Live featuring Dr. Gary Chimes, released 2/28/18 and 3/14/18. Check out the episodes of our sister podcast Moving2Live featuring Dr. Ian Dunican, PhD, released 1/16/19 and 1/30/19. Check out the episodes of our sister podcast Moving2Live featuring Don Moxley, released 4/4/18 & 4/18/18 (focus on wearable technology) and 12/12/18 (focus of cannabinoids and performance).